Sash windows are one of the key architectural features of many older buildings and contribute to both their heritage and re-sale value. The passage of time can make them rattly and draughty so they are usually good candidates for draft proofing. 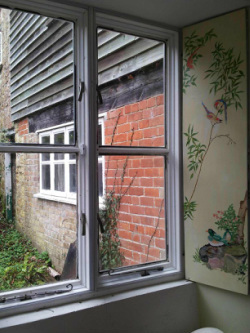 They are more difficult to seal than casement windows and require the sashes to be removed before seals are cut in and new staff and parting beads installed with integral seals. 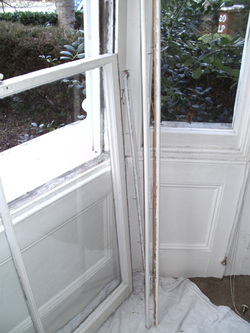 Where required, other elements like sash cords, pulleys and weights can be replaced, or the timber sash itself repaired. Cost from £150 per window depending on size/complexity. We install acrylic secondary glazing, a low cost and unobtrusive way of halving heat loss through windows. The system uses magnetic strips to fix acrylic sheets against the window frames to an trap insulating layer of air. 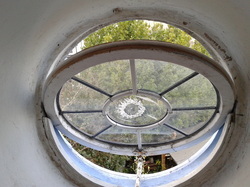 The panels can be removed and stored in summer, allowing the windows to open. 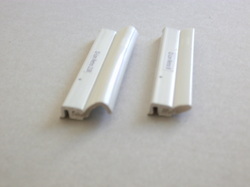 Alternatively, they can be fixed to the casement or sash windows so that they can open with the acrylic in place. The strips are white, alternatively the acrylic can have a painted frame to match paintwork. Acrylic remains clear for ten years or more. It is much tougher but less scratch resistant than glass. It is comparable to hardwood for fire resistance. 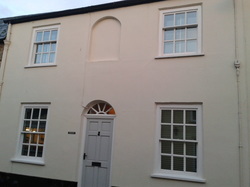 Cost around £30 to £50 per window depending on size. New double glazed sash windows in Axminster but without draught proofing! Machining in new sealing strips made these windows perform the way they should have done originally, with low loss through the glass and low draughts. Once lower cost measures like draught proofing, loft insulation and efficient boilers have been adopted, Solid wall insulation should be considered as it is responsible for 35% of heat loss in typical semi-detached homes. 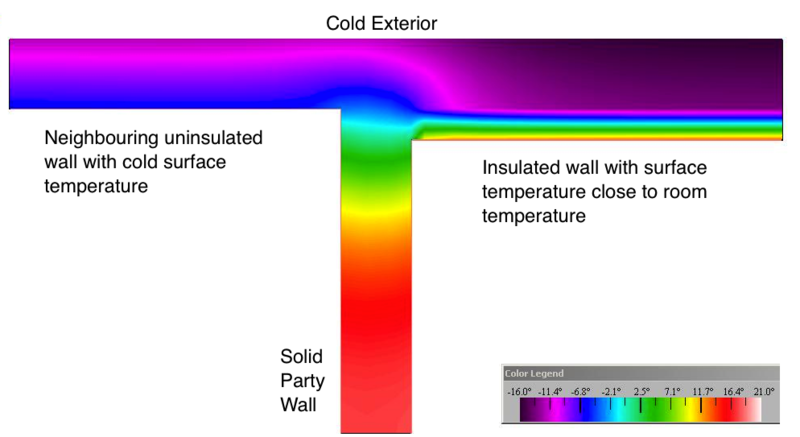 It makes a big difference to thermal comfort as the temperature of the walls become much warmer. 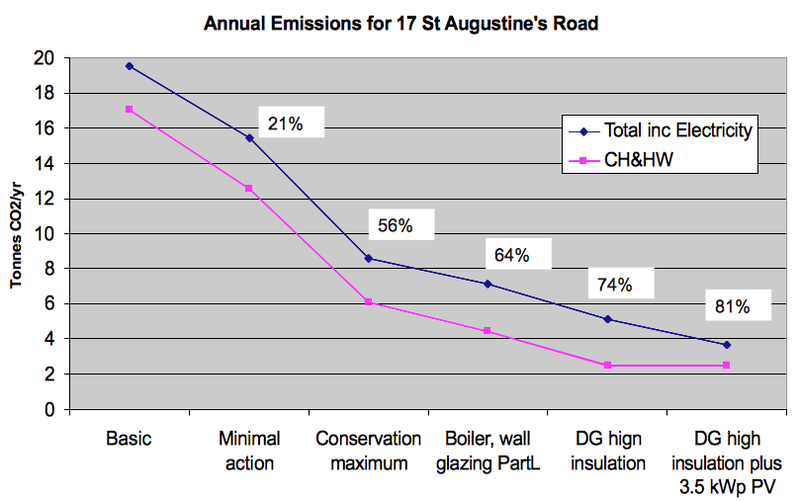 The image shows the effect of insulation on one side of a semi-detached house. The house with the insulation is warm as toast whilst the neighbour is still freezing. Cost from £60 per m2 depending on materials used and complexity. 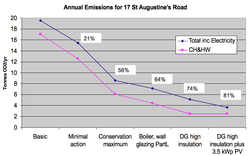 Advice and analysis of carbon reduction strategies for single dwellings and organisations with large property portfolios.